"Being more creative as a single mom." Roodlyne A, South FL Single Mom #SimplifyMOMLIFE.CANDID talks Creator, Digital Influencer, shoe lover, healthy living, gardener, lover of pretty things. First of all I’d like to say thank you for each and everyone of you who filled out the reader survey, I appreciate so very much. If you haven’t done so already you still can! 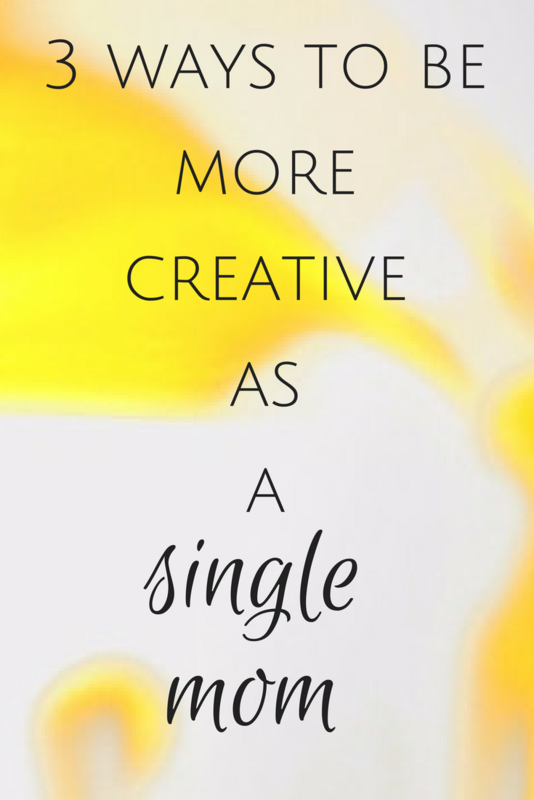 There are so many ways you can be creative as a single mom… You can be creative with your money, food, fashion, kids activities etc. I want to start with just a few ideas, but I will be back on the subject with more. If it was you who ask about the subject on the survey, please leave me a comment or shoot me an email, let me know exactly what you would like to see. One thing I learn since I became a single mom is to embrace the season, make the most of it, and live life to the fullest. There is a grace for every season on life, no matter how difficult the season may appear to be. If you look closely you will find some beauty in it. For instance, there are some things I am able to do with my kids now I probably wouldn’t have done when I was married. Bloom where you’re planted, create a beautiful life for yourself and your kids no matter where you are in life and no matter your relationship status. My kids always talk about going camping, I’ve never been camping and I don’t intend to go camping with them anytime soon… for so many reason! I came up with an idea to camp at home, and they love it. We basically hang out on the patio as late as possible then sleep in the living room. We cook thing on a stick, make s’mores, tell stories and sleep on the floor. This is one of their favorites things to do, in the summer we camp downstairs for almost a week. As a single mom, I can do stuff like that. There’s no husband waiting for me upstairs so I can sleep with my kids in my living room as much as I want and they love it. It’s a great time of bonding for us, I get to infuse all my love into them. They are more open to talk, and share. I can use this time to do some serious mothering still in a very fun and memorable way. Best yet, this “camping” trip didn’t cost any money. Last week, I took my girls to the office with me afterwards, instead of going home, we stopped by Publix grabbed a couple subs and drink, and we head to the beach. It wasn’t planned, and it was a HUGE deal to my girls. I spend less than twenty bucks but it was something out of the ordinary. We ate at the beach then swim for the rest of the day. My kids were so excited and happy, you would have thought I took them to Paris on a private jet. Unplanned fun are usually the best fun! Break the rules, do something out of the ordinary. My girls and I made sushi last Sunday, I shared about it here on the blog you can check it out. I bought a sushi kit on amazon a while back and out of the blue we decided to put it to good use. I didn’t plan on making sushi that day, I only use item I already had and wing it, it was pretty bare but we had a blast and it was delicious! Since then we’ve made it twice and I think it might be becoming one of our staples. Sushi is not the only out of the box meal you could make… You can cook Hotdogs on a stick, make pizza… Anything you wouldn’t normally do, the kids will get a kick out of it. What other creative ideas do you for single mom? or mom in general? I'm a South Florida African-American mom blogger, creator, digital influencer, speaker, entrepreneur, encourager, shoe lover, Software Engineer. Is The Mental Load Affecting Your Career?